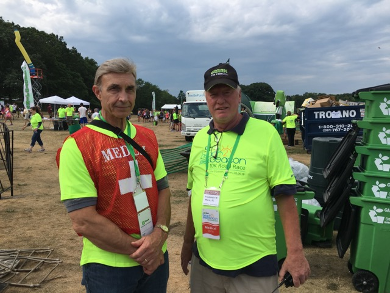 WINDHAM, ME - During August, the WS1EC and WX1GYX teams came together for a pair of communications exercises designed to familiarize volunteers with the equipment at each station and introduce them to some station upgrades, including DMR transceivers and digital mode capability. CAPE ELIZABETH, ME - Amateur radio volunteers were drawn from several ham clubs in the Southern Maine area, including the Wireless Society of Southern Maine, Portland Amateur Wireless Association, Androscoggin Amateur Radio Club, and others. 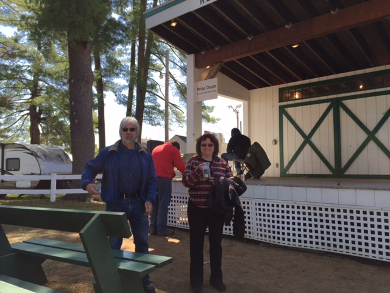 SACO, ME - The 2016 Maine QSO Party is right around the corner! This year's contest takes place September 24-25 for 24 hours, beginning at 1200 UTC on the 24th. Be sure to mark your calendars and get your county on the air! 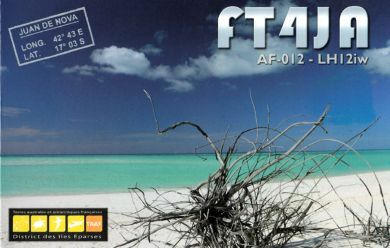 We'll explore some QSLs from some of this Spring's most popular DXPeditions, as well as one from fellow club member Walaa Temraz, E41WT, from Palestine. AMSAT-NA plans 5 GHz - 10 GHz transponders on a spacecraft expected to launch in September 2018 into lunar orbit. Heimdallr is a 3-axis stabilized 6U Cube Sat with a mass of approximately 8kg. 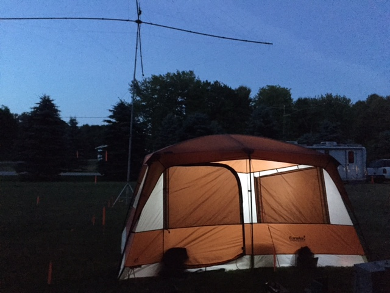 SCARBOROUGH, ME - In late June, the WS1SM team participated in their sixth Field Day from Wassamki Springs Campground, in Scarborough. 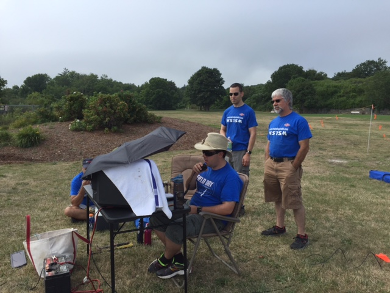 For the third consecutive year the team operated as 3A (which is a club station, on battery power, using 3 transmitters). NEARFest, K1T Special Event, RSGB IOTA Contest, and more! During the weekend of August 20-21st, the WS1SM team activated Portland Head Light for International Lighthouse and Lightship Weekend (ILLW). 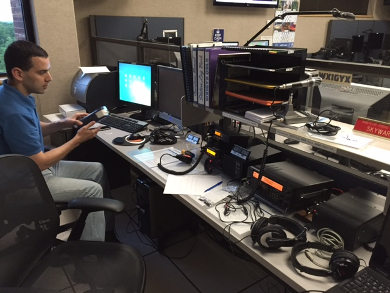 ILLW is an annual on-air activity that involves more than 500 lighthouses worldwide. 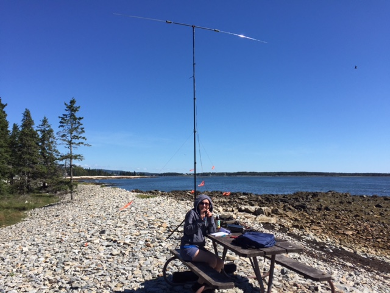 On Saturday, September 10th, WSSM members activated Acadia National Park celebrating the 100th anniversary of the park's founding and the ARRL's National Parks on the Air (NPOTA) program. October 13th - from 7PM-9PM at the CCEMA Bunker, 22 High Street, Windham, ME. November 10th - from 7PM-9PM at the CCEMA Bunker, 22 High Street, Windham, ME. December 8th - from 7PM-9PM at the CCEMA Bunker, 22 High Street, Windham, ME. One of the more interesting radios to be announced at this year's Dayton Hamvention is the DV4mobile, brought to you by the same manufacturer as the popular DV4mini dongle. The specs that have been published are impressive to say the least, touting support for "all digital modes" and "programming from the cloud," just for starters. Its also capable of operating on 3 bands, including 2 meters, 220 MHz, and 70cm. Some of the modes that are supported are C4FM, D-Star, DMRplus, dPMR, P25, NXDN (with a later software update), voice over LTE, and of course, FM. DV4LTE is a new voice over LTE mode that connects the radio to a reflector using an LTE connection. The LTE modem connects to the CCS7 reflector system, supplying codeplugs in the cloud, meaning there's no need to program codeplugs anymore. Any changes in the network, be it on the reflector, repeater, or user side are instantly updated. Also, using this technology, when no repeaters are in range, the radio can revert to DV4LTE for reflector connection (between metropolitan areas). A GPS module provides location data for APRS and automatic display of repeaters in range. Wireless Holdings, LLC says the radio can be used as a dual band, dual mode simplex repeater as well. The radio is fitted with an N connector for the antenna, an RJ-45 ethernet connector, and an HDMI port to connect an external display. Although we've heard of similar radios that offer support for multiple digital modes, none of them have actually made it to the marketplace, so I have to be somewhat skeptical till I see one in person, or at least hear one on the air. A demo model was on display at this year's Dayton Hamvention, which makes it more promising than most of the others, but so far its still not for sale yet. An announcement on their website says it will be available in "the 4th quarter of 2016." We'll wait and see. The other unknown is the price, although if the DV4mini is any indicator, it should be pretty reasonable. A DV4mini containing a 70cm data transceiver sells for only $129.00, while the most advanced, voice capable dongle sells for around $228.00. That being said, the DV4mobile is a completely differentbeast. In other news, around the club, its been a busy summer. We've made some tremendous progress with the station at Cumberland County EMA, and have tested out most of the new capabilities during a pair of comm tests with NWS Gray. Our next challenge will be the upcoming SET, which we're currently developing a plan for. If the weather cooperates, it'll also be nice to get out for one more SOTA outing before the end of Fall. If anyone has any ideas for locations, bring it up at one of the upcoming meetings. Speaking of meetings, we'll continue to meet at Wassamki Springs Campground until the end of September, and then switch to the CCEMA bunker on the first Thursday of October.